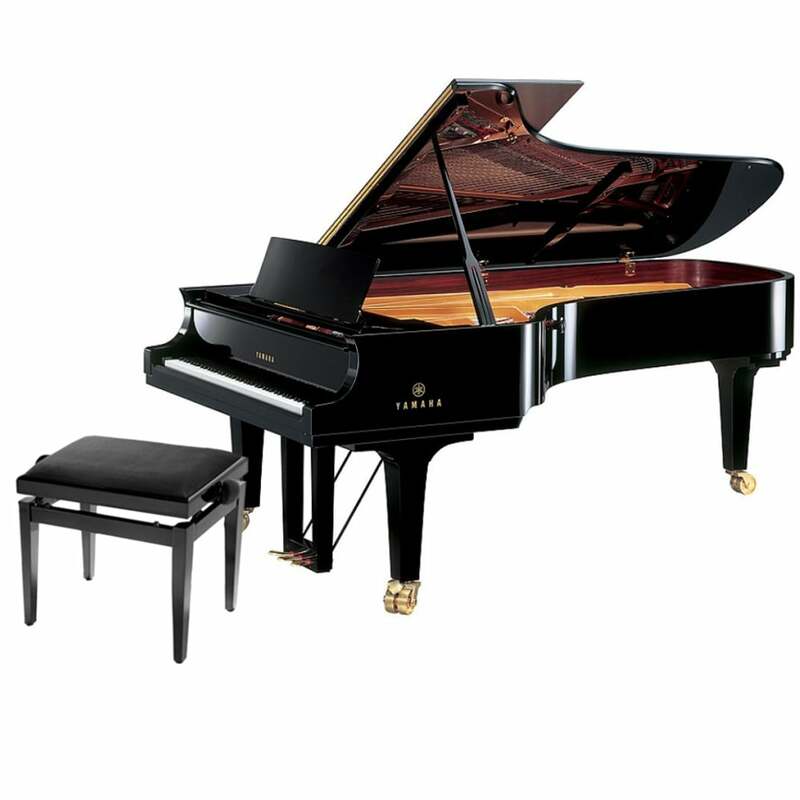 The crowning glory of the Yamaha Piano line, our CFX Concert Grand incorporates numerous refinements in performance, appearance and safety, elevating this revered instrument to an even higher standard of excellence. The size of the rim and the processes used to manufacture it have been overhauled to provide greater strength. This gives the instrument a firmer feel and provides support for a presence that can be felt in the farthest regions of a hall. The coils have been overhauled to provide better bass sound. Materials used in production have been reevaluated to match the new design of the CF series. String tension balance has also been rethought to provide a stable, clear sound. Soundboard shaping techniques have been improved to allow the soundboard to vibrate freely and provide the maximum amount of resonance, giving the instrument a spacious sound with a strong attack. Hammer material is carefully selected, and the hammers themselves have been redesigned to emphasize a balance with the overall instrument design. The lid edges feature a new design that offers a better overal balance with the legs and keyboard ends. Internal mechanisms build on the heritage of the models preceding the CFIIIS, with a design that features a new configuration intended to provide superior playability.